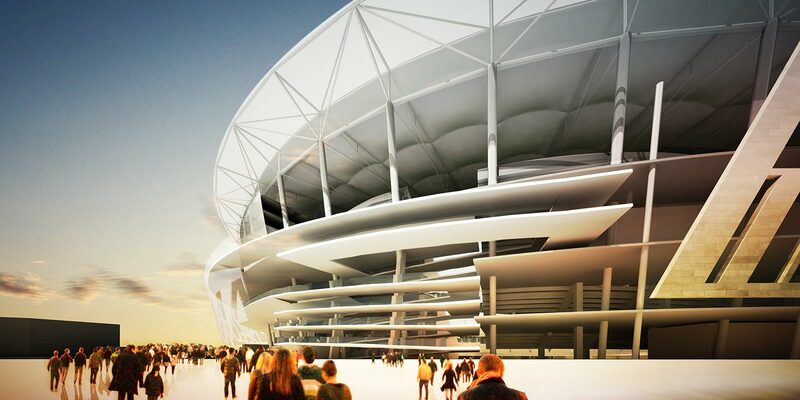 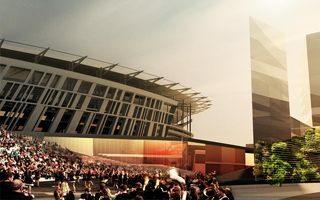 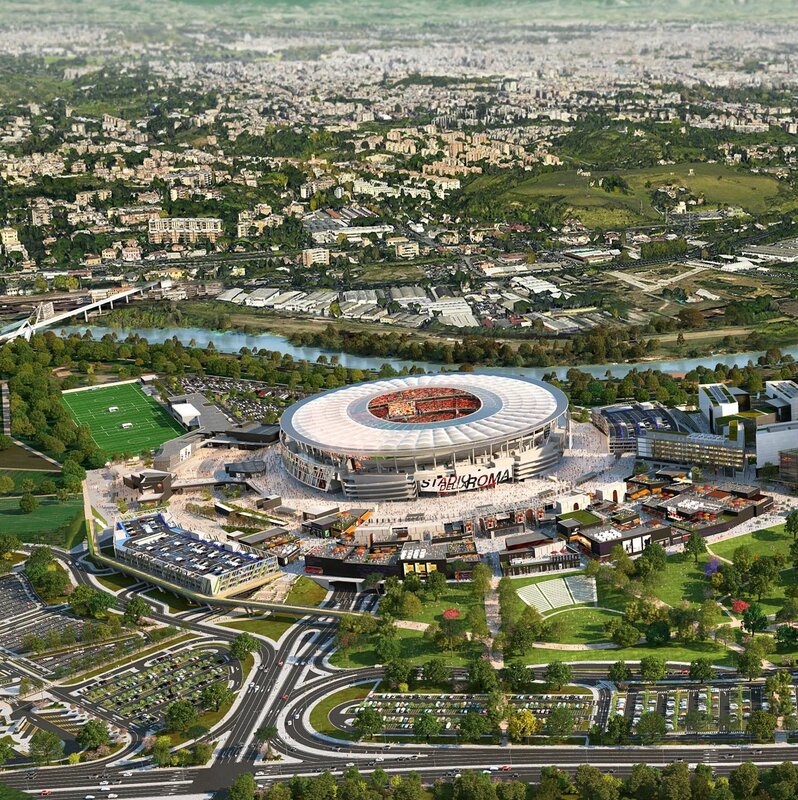 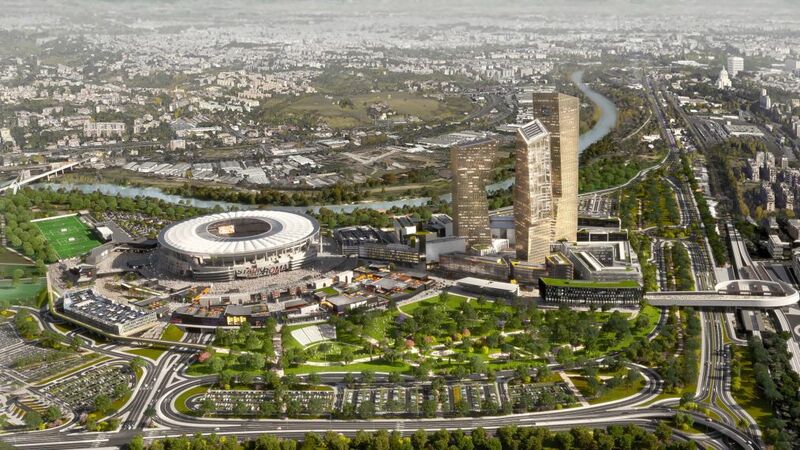 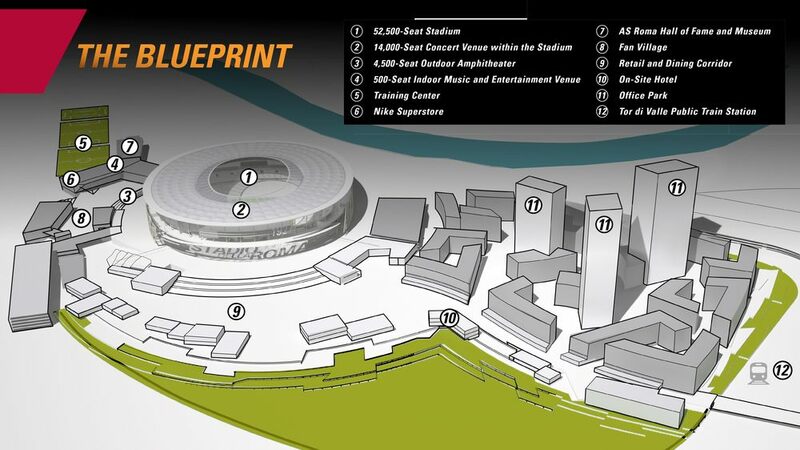 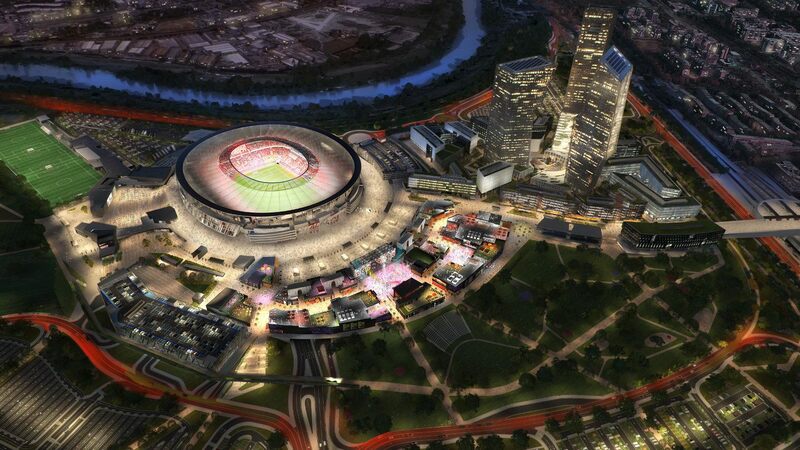 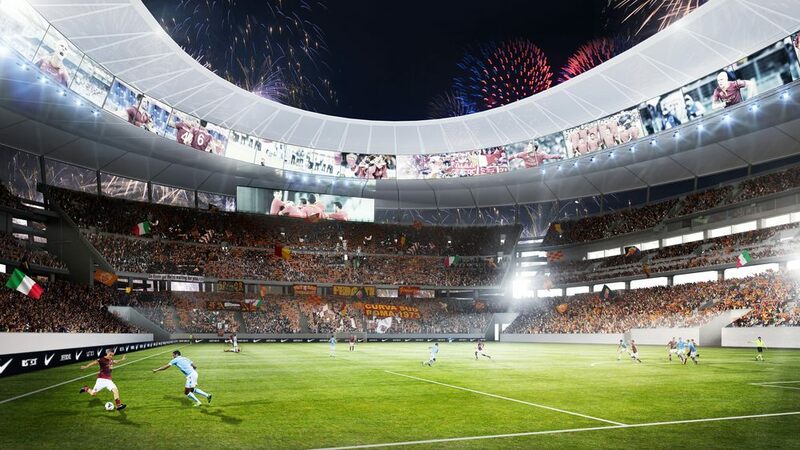 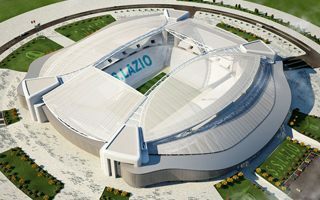 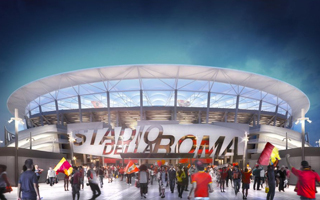 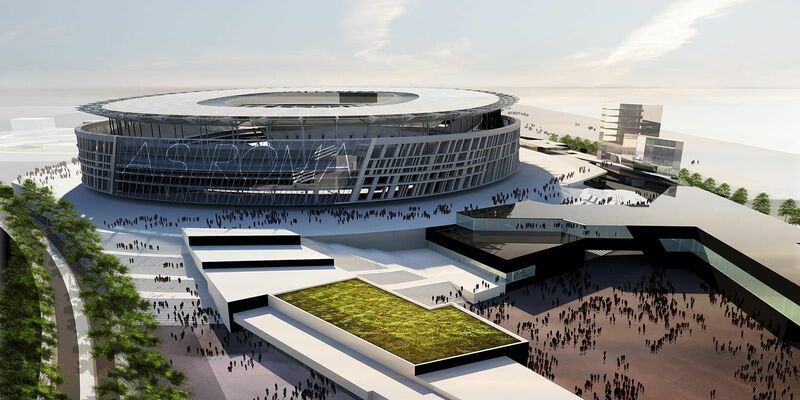 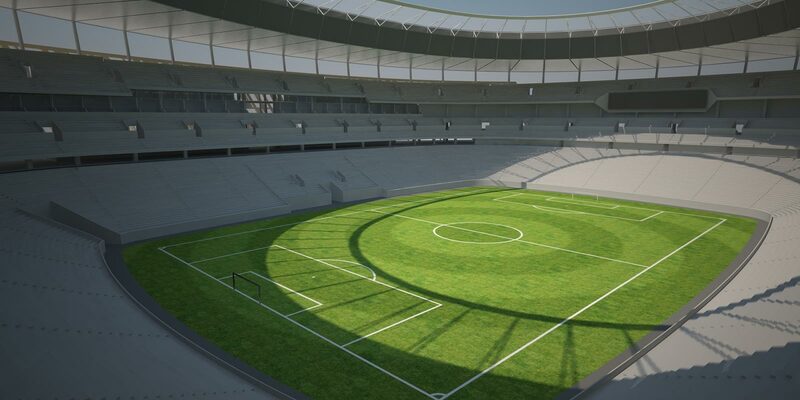 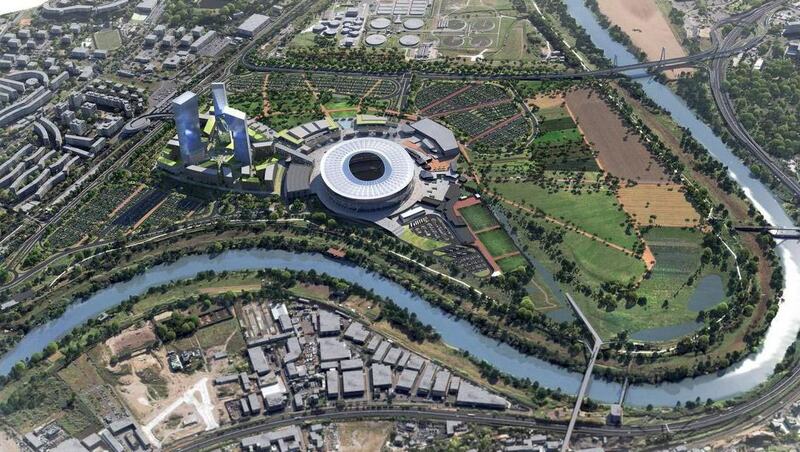 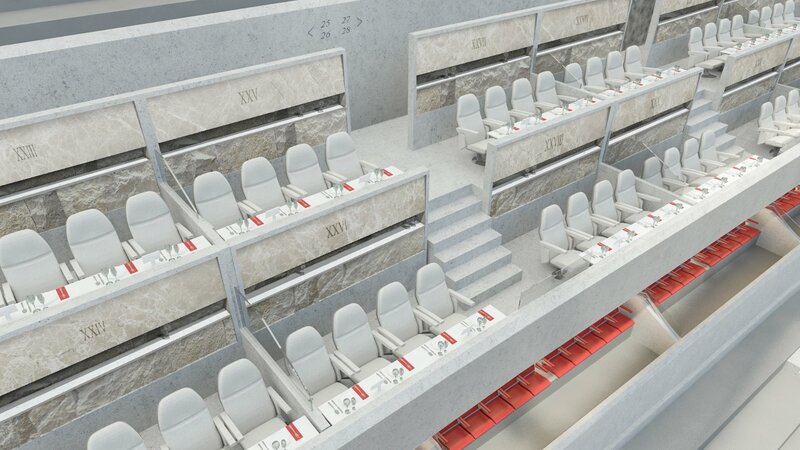 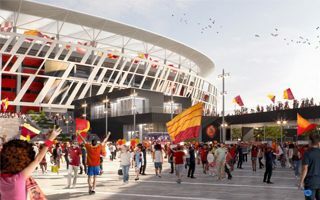 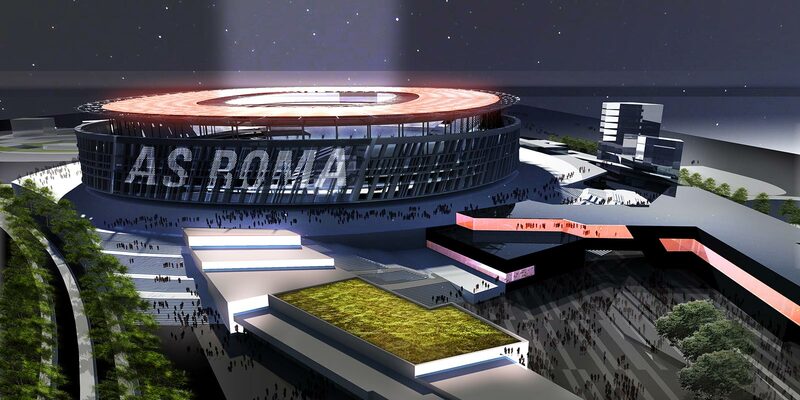 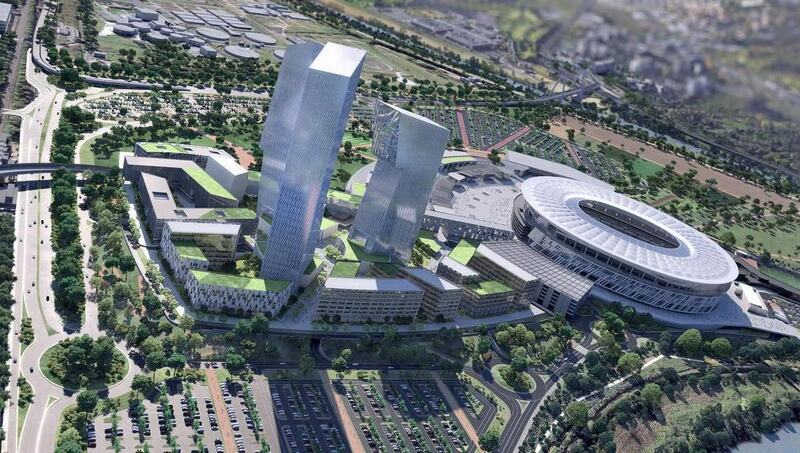 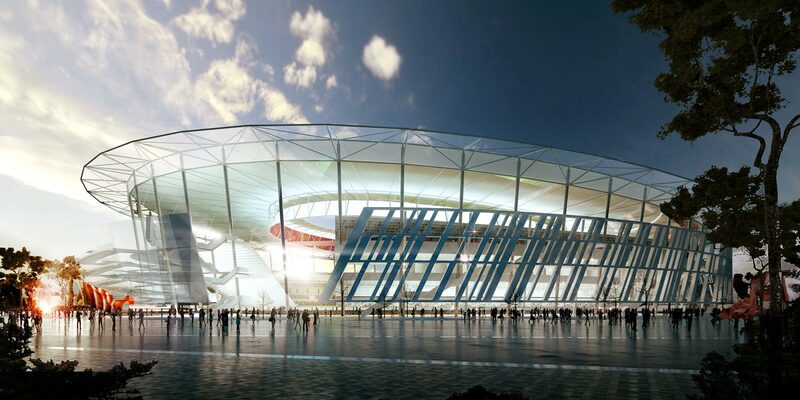 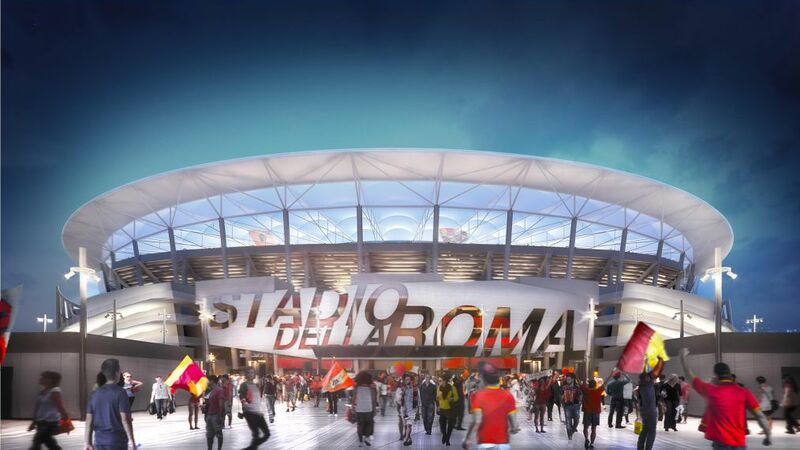 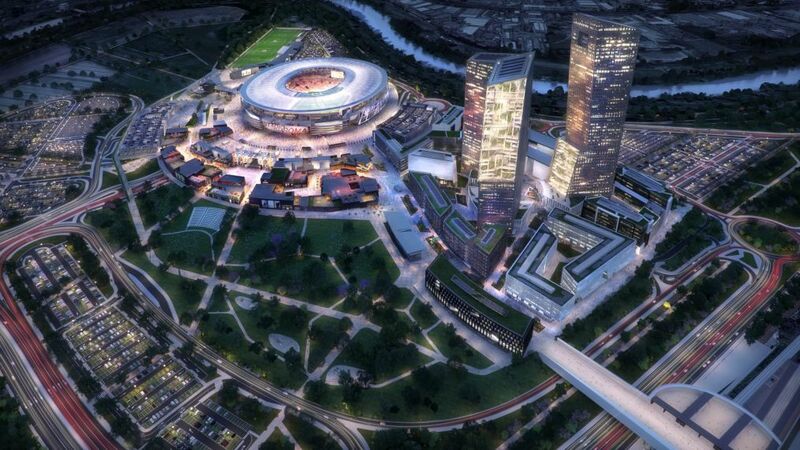 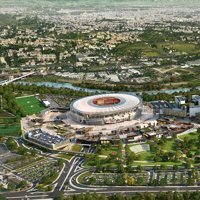 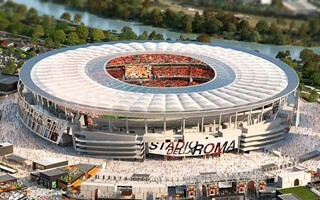 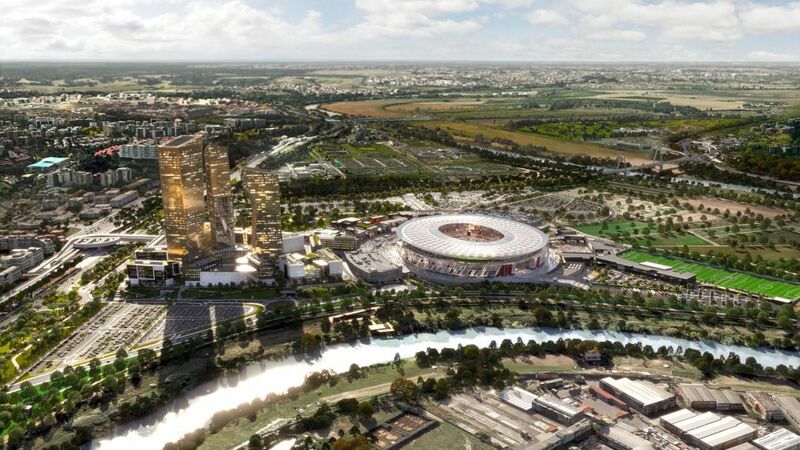 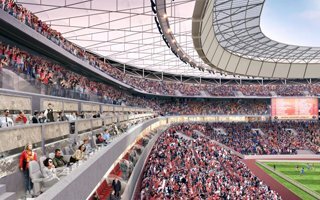 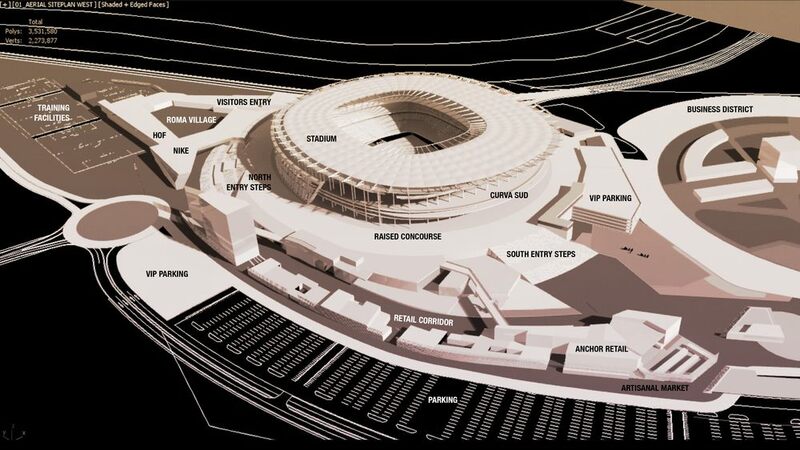 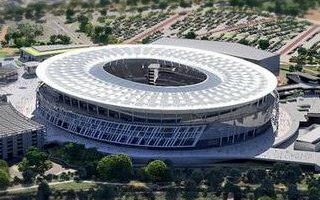 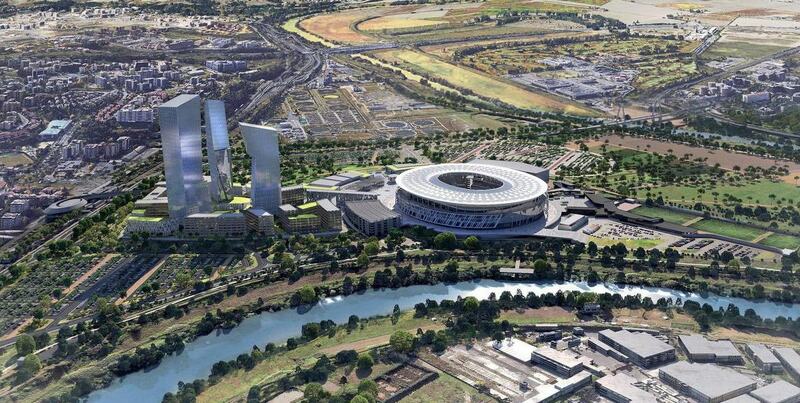 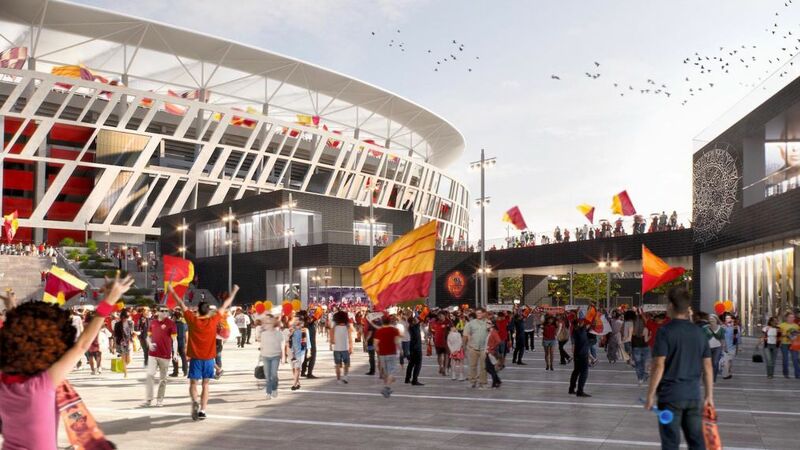 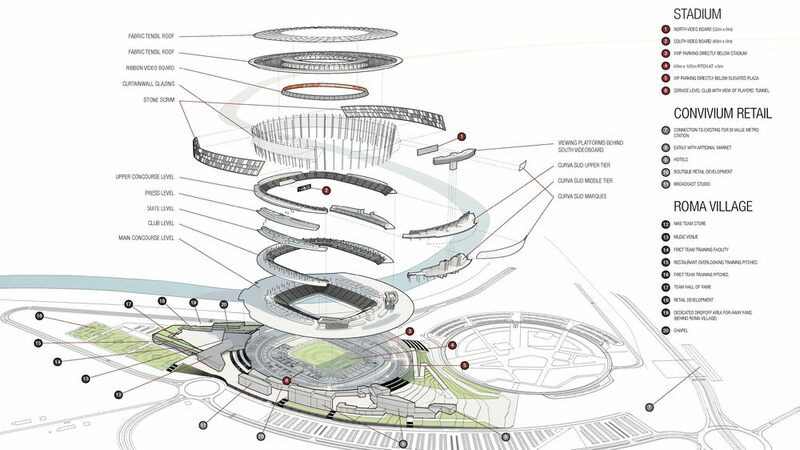 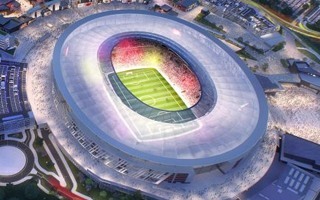 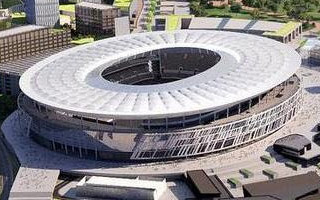 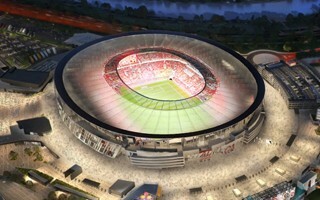 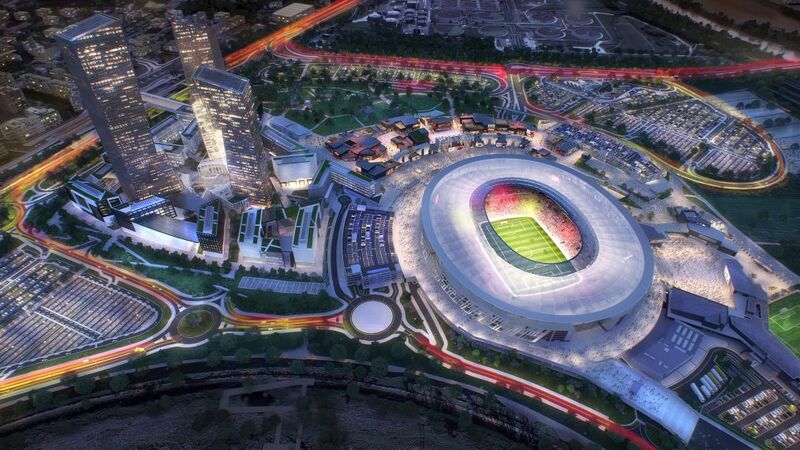 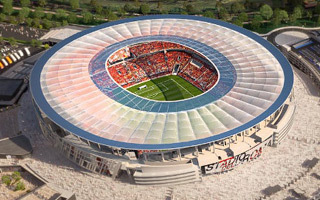 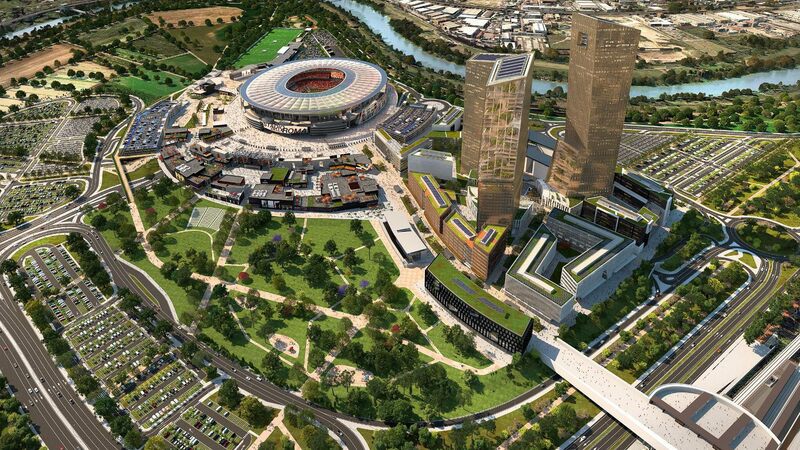 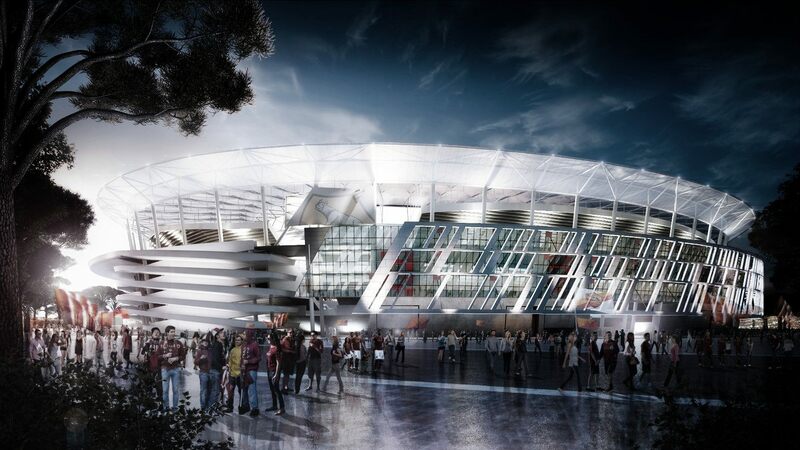 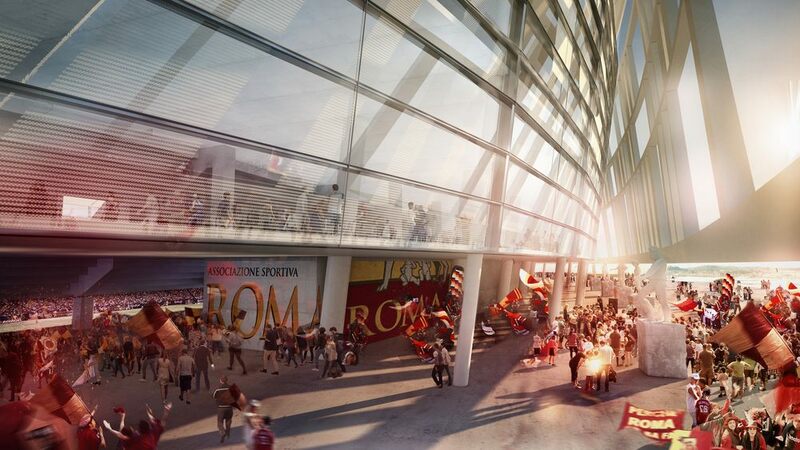 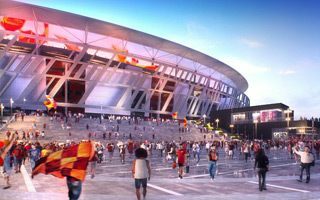 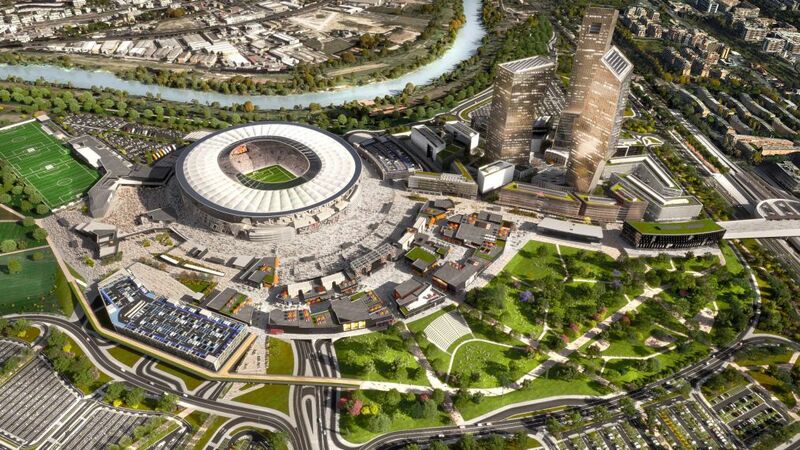 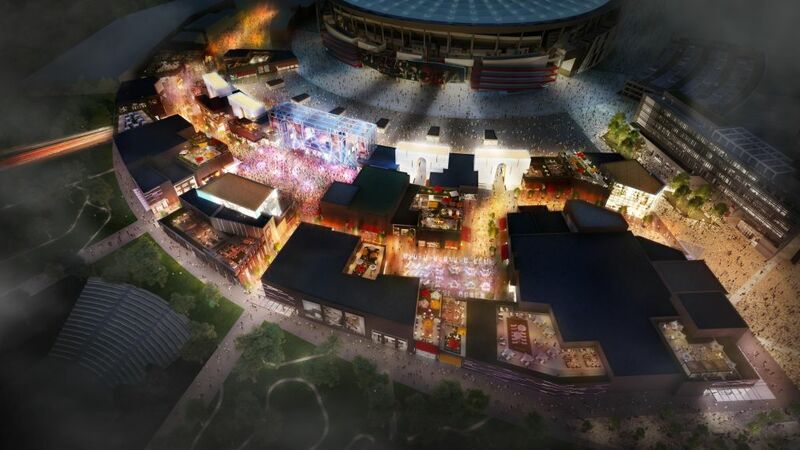 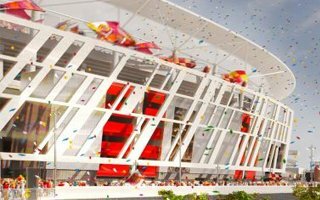 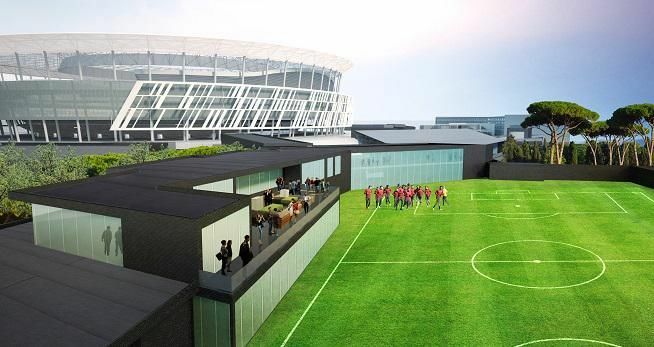 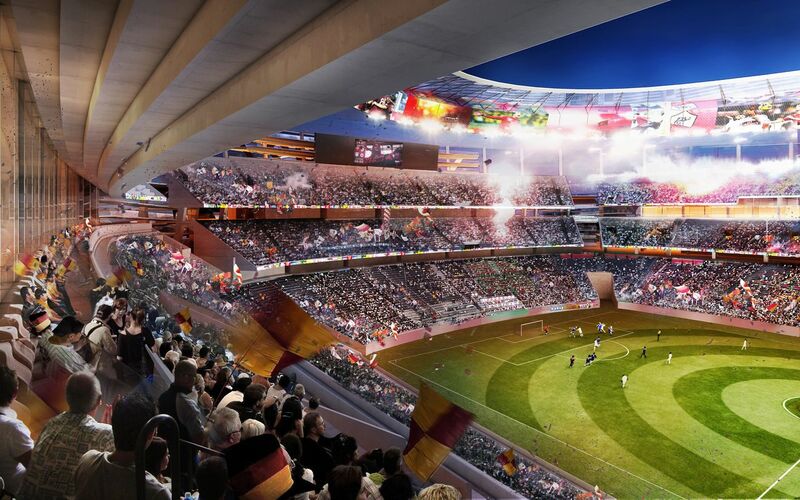 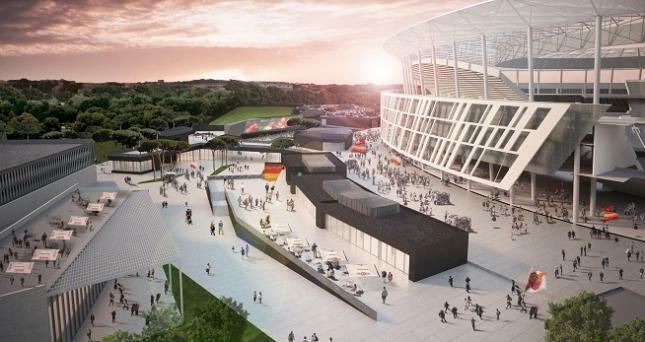 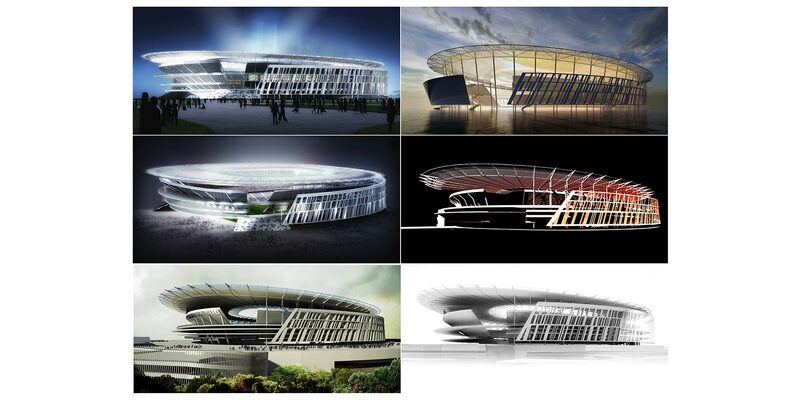 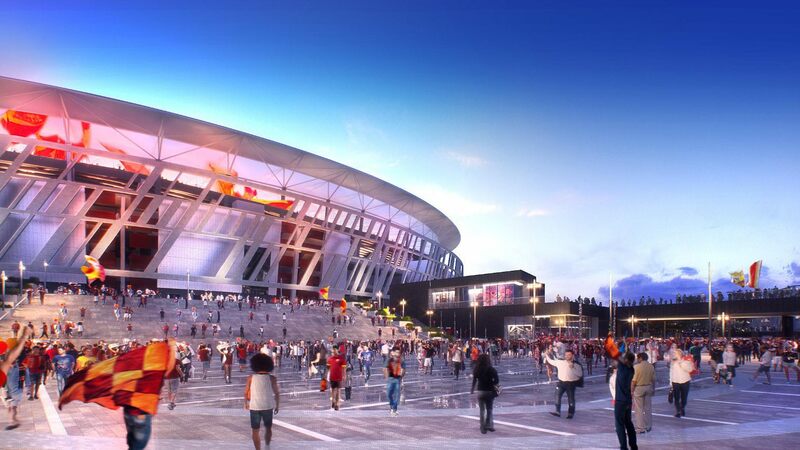 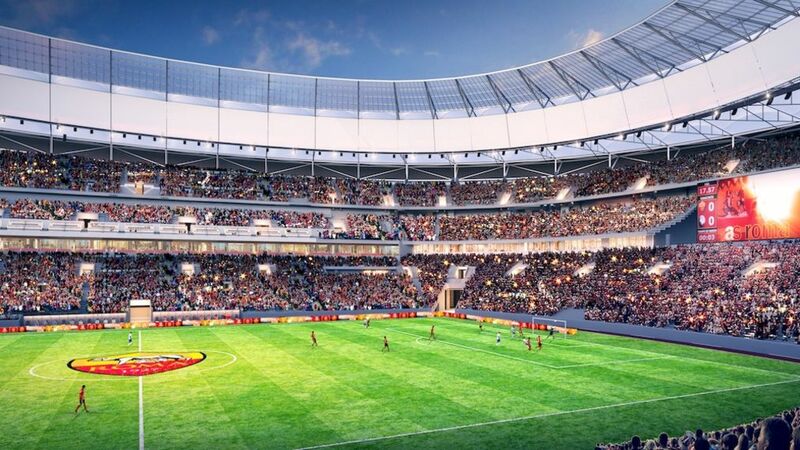 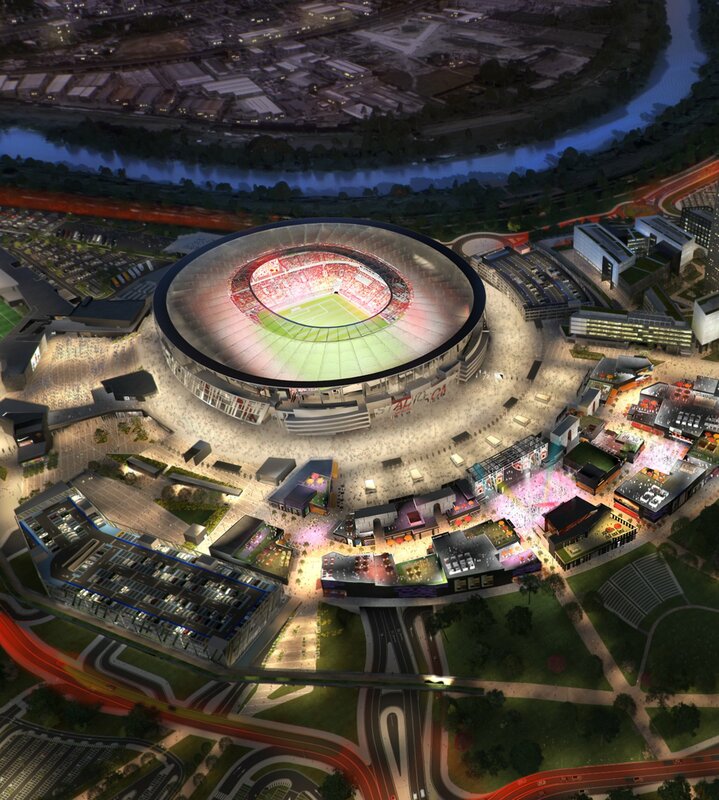 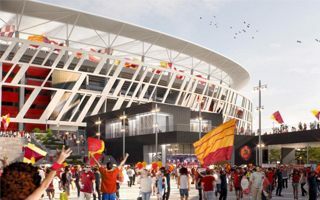 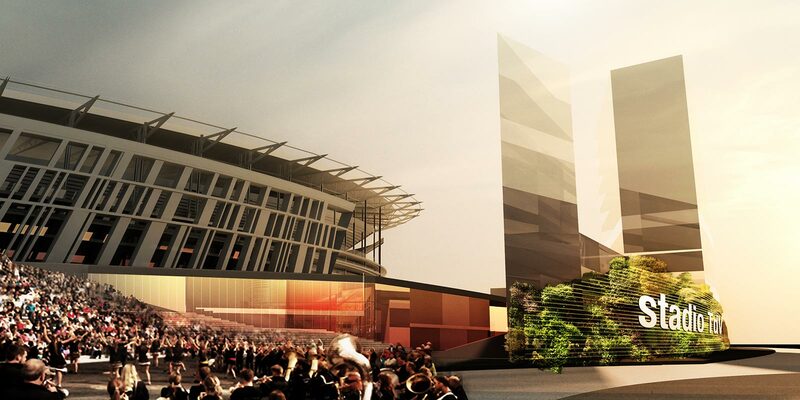 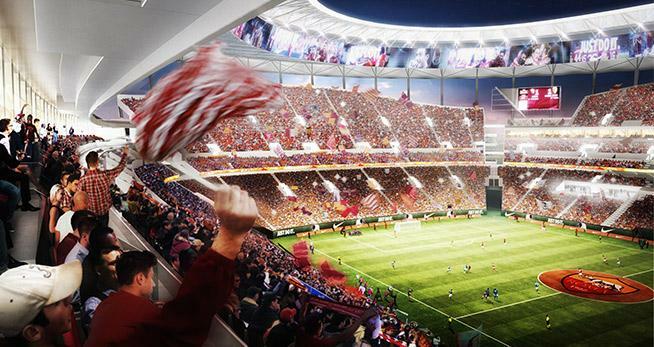 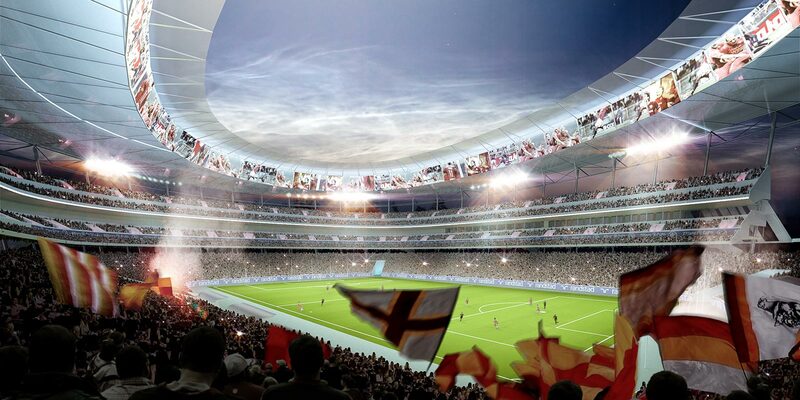 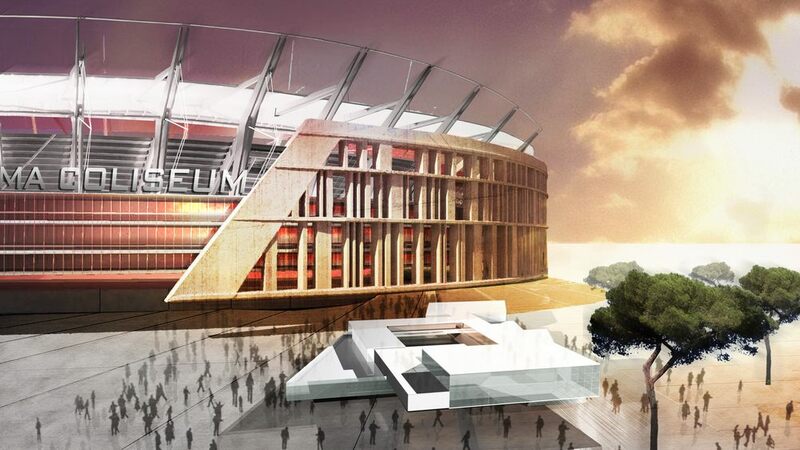 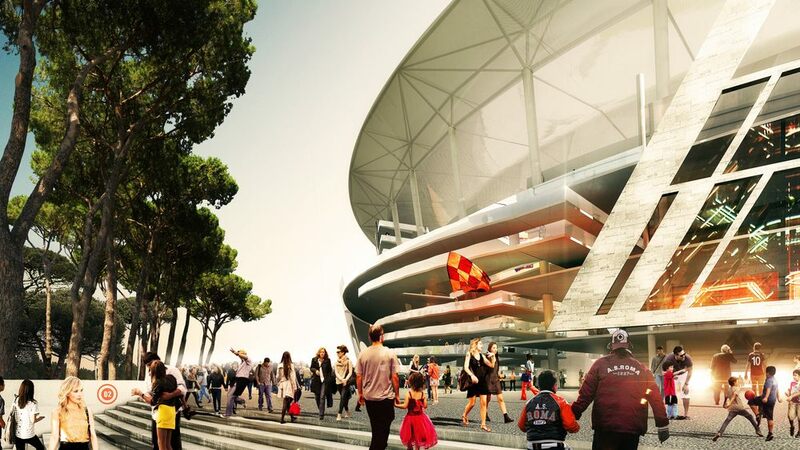 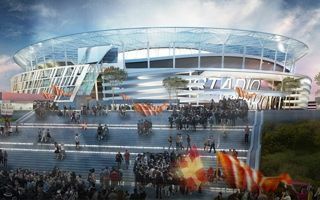 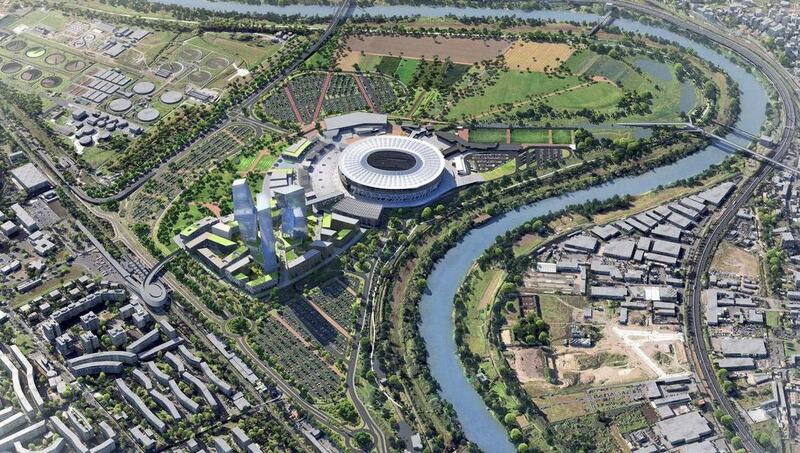 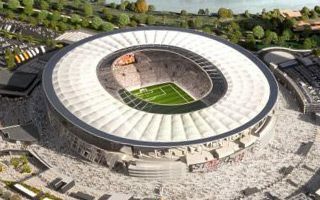 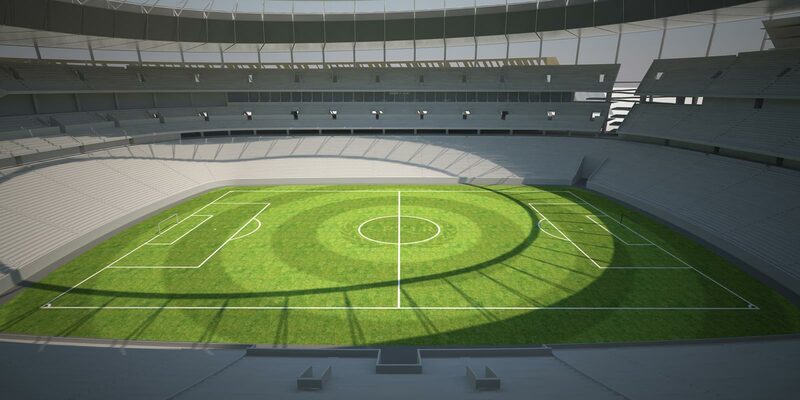 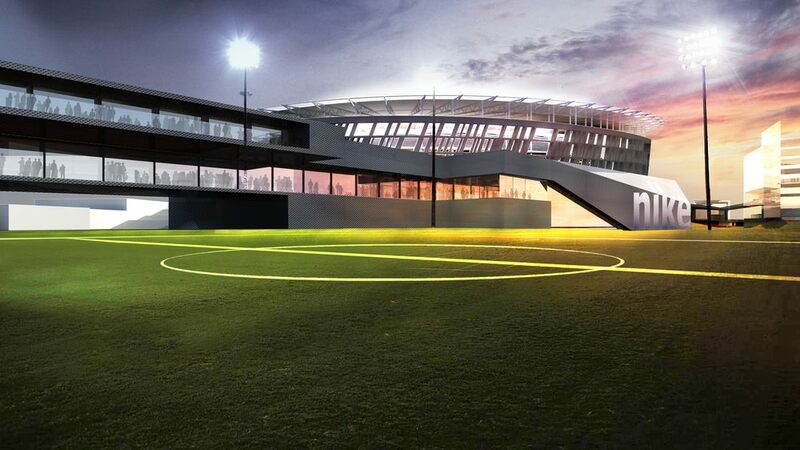 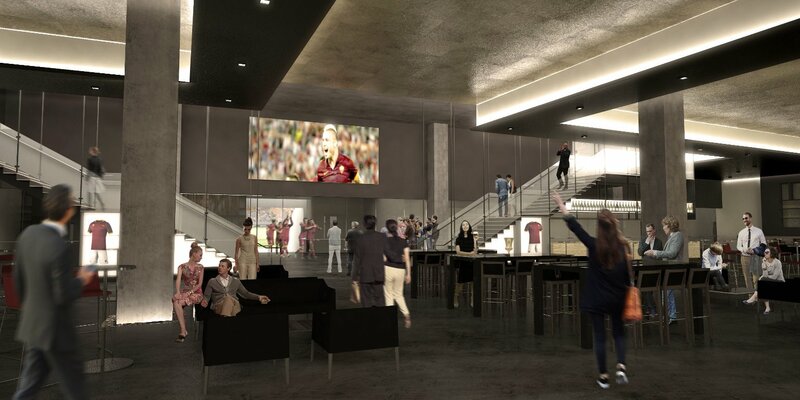 In March 2014 AS Roma presented the long-awaited new stadium concept. 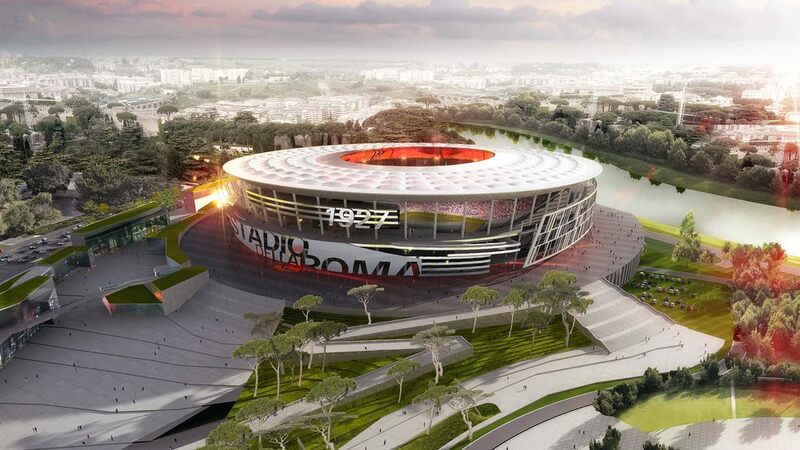 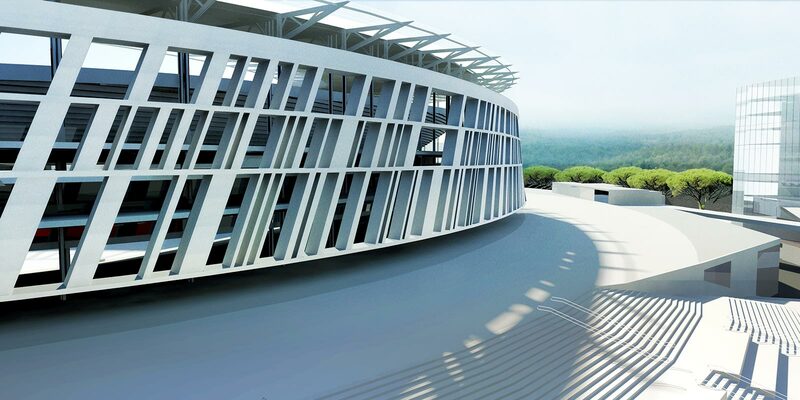 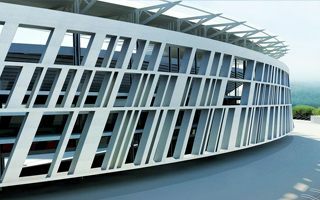 As expected, the vision is inspired by the Coliseum, represented in a modern façade, lightweight despite being partly stone-clad. 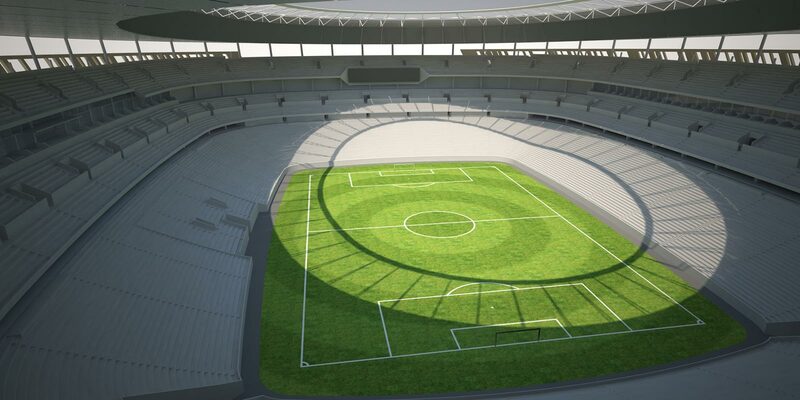 The seating layout offers three tiers for fans, allowing to hold 52,500 people with potential to increase to 60,218, should demand grow enough. 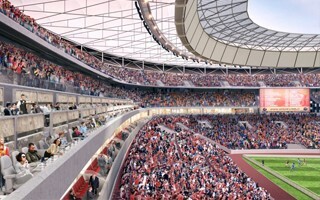 The stands don’t form closed rings as the southern end, Curva Sud, is detached from others. 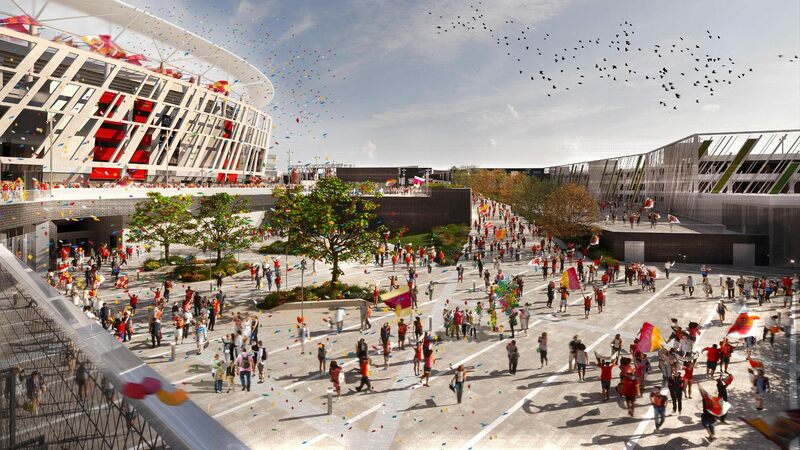 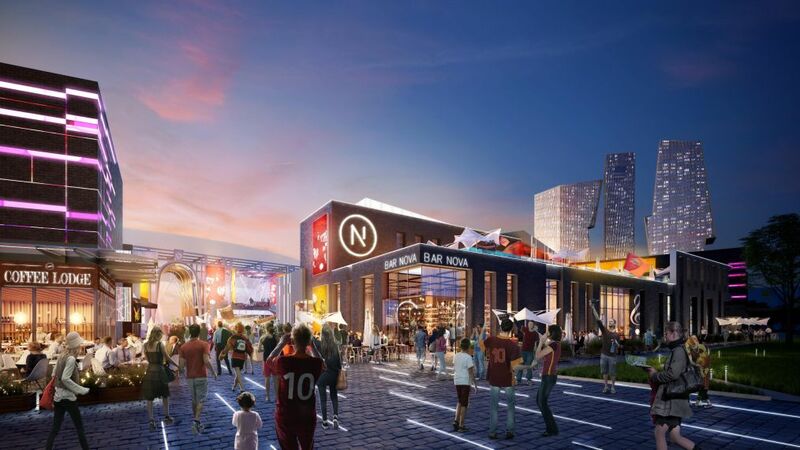 It’s expected to draw up to 13,600 most vibrant fans. 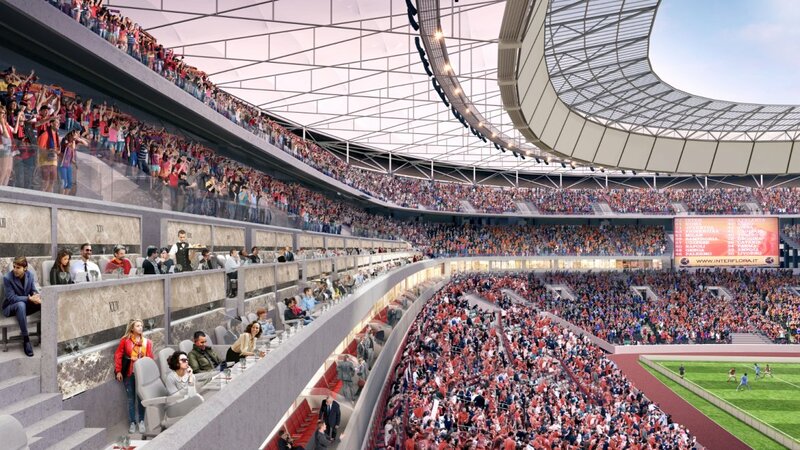 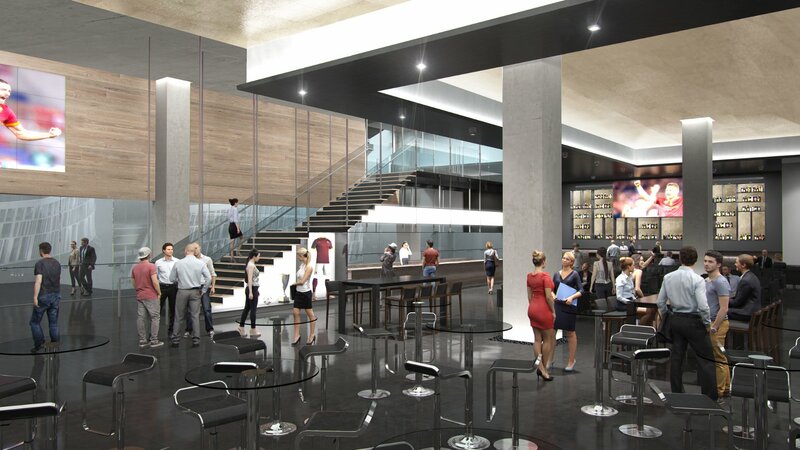 Meanwhile the west and east sides will host 50 skyboxes. 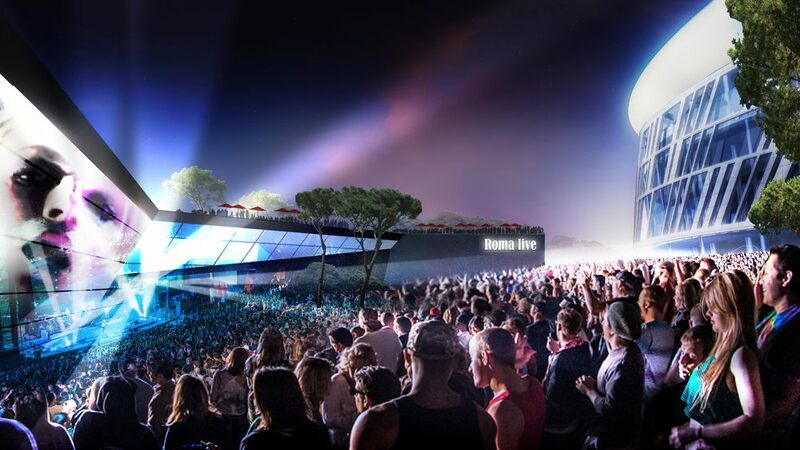 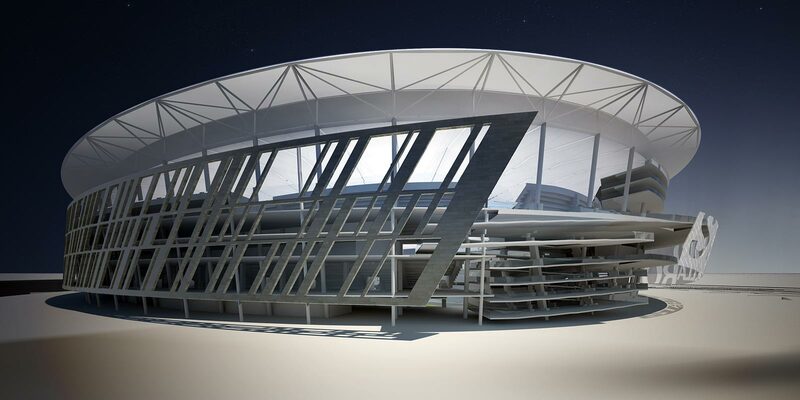 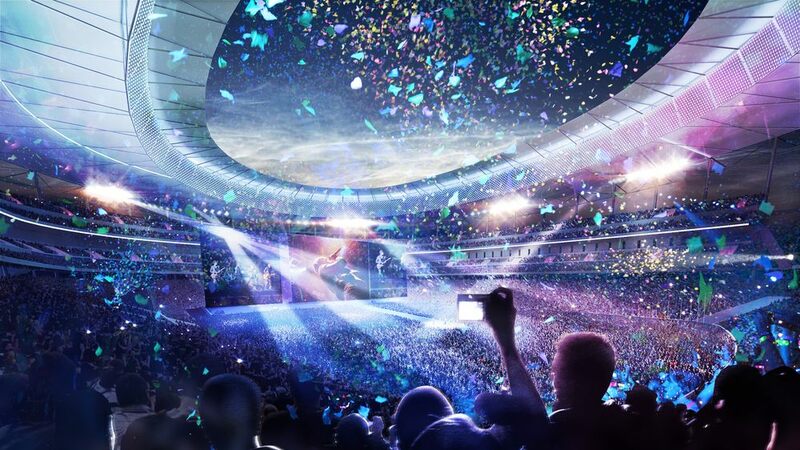 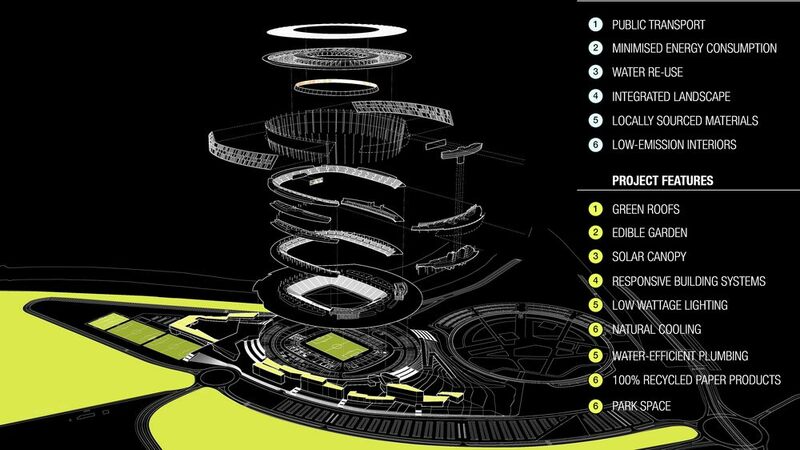 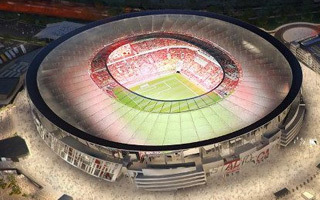 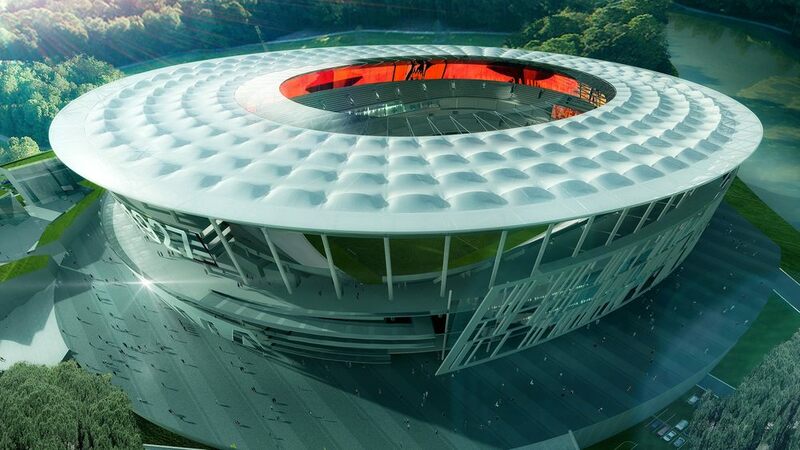 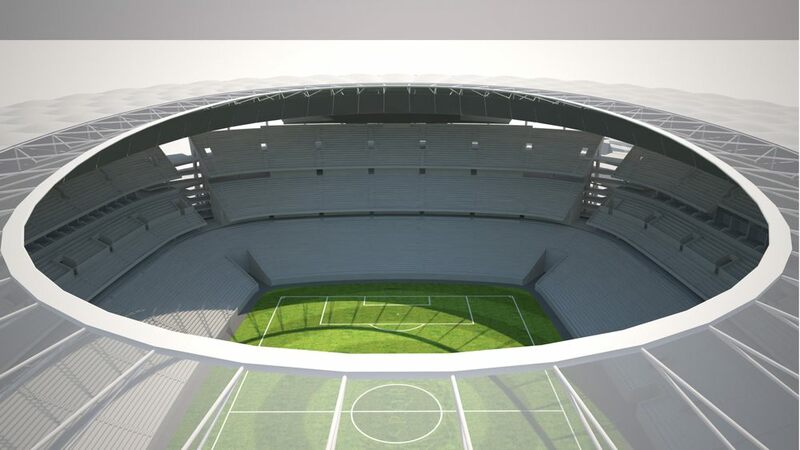 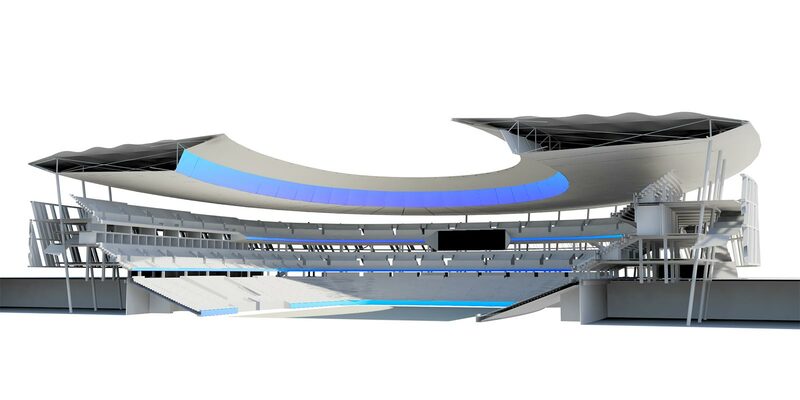 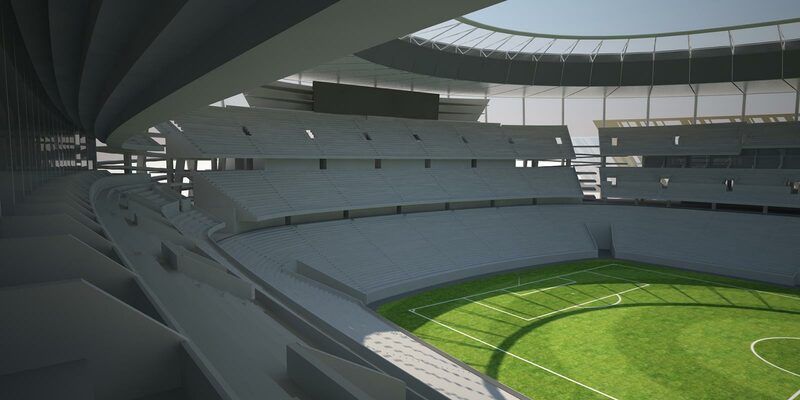 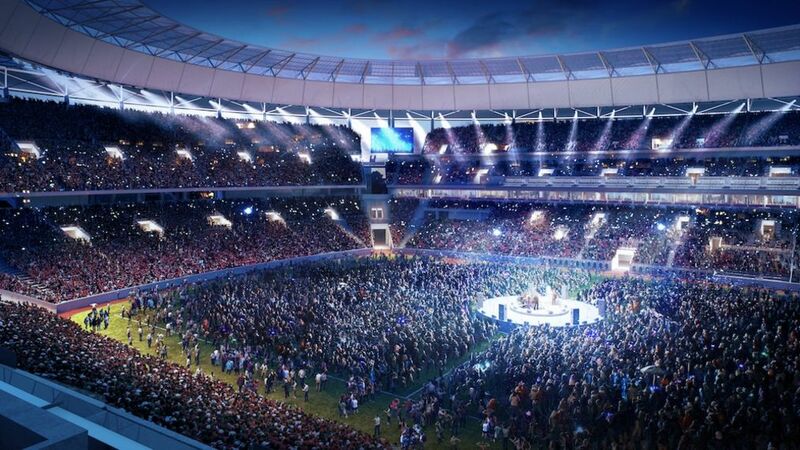 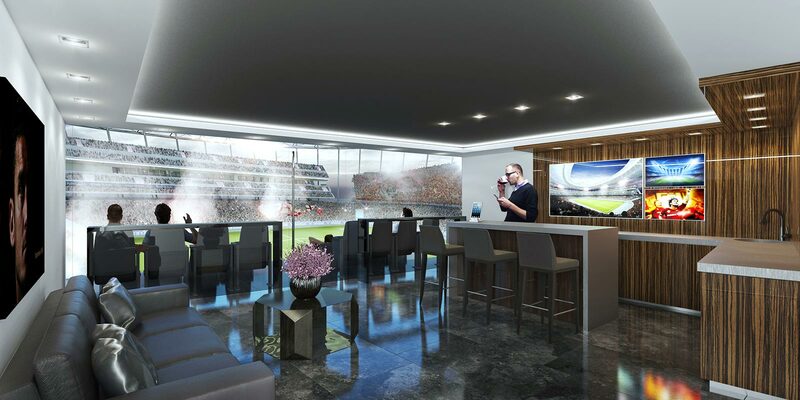 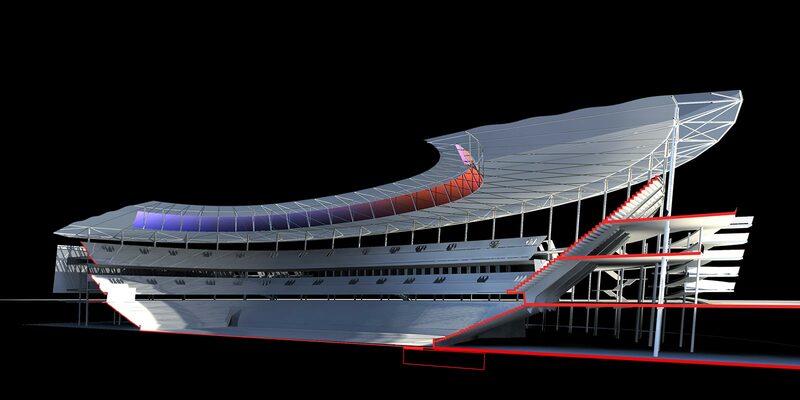 The entire stadium will be topped by a light membrane roof with panoramic giant screen. 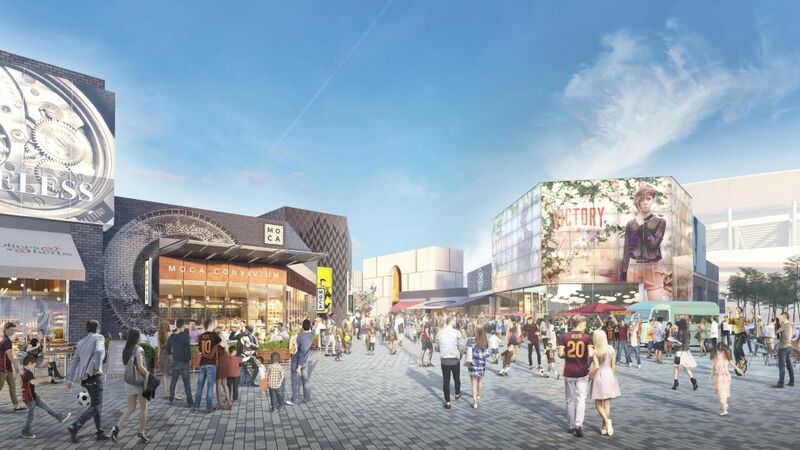 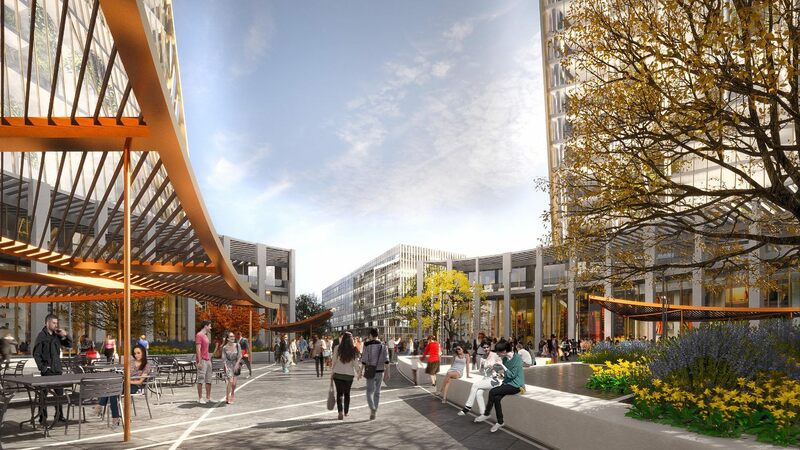 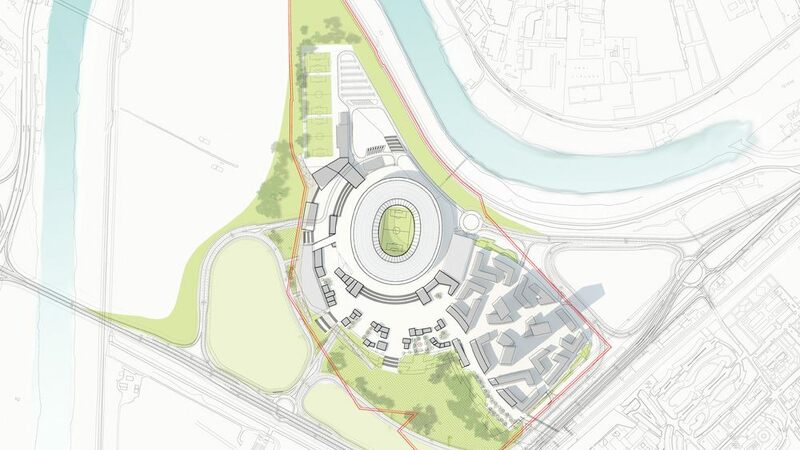 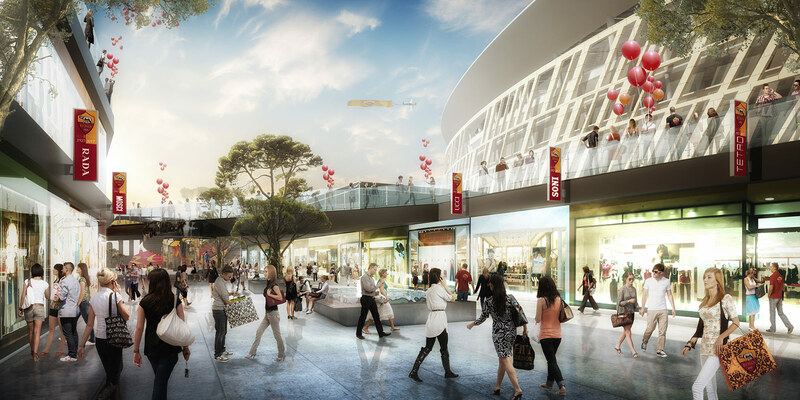 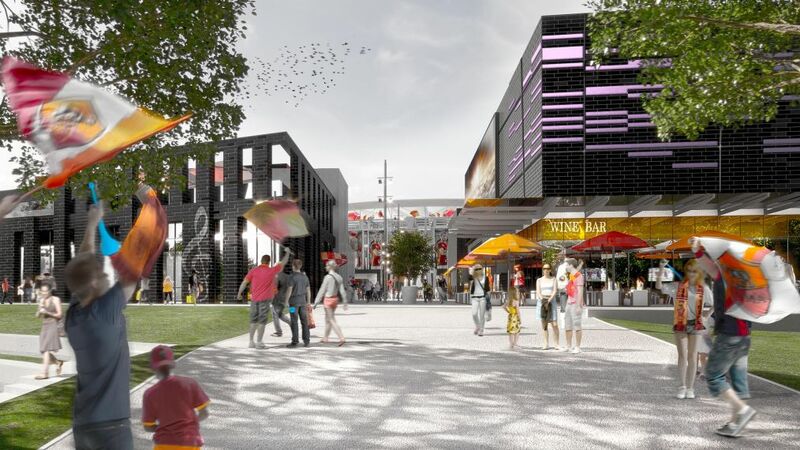 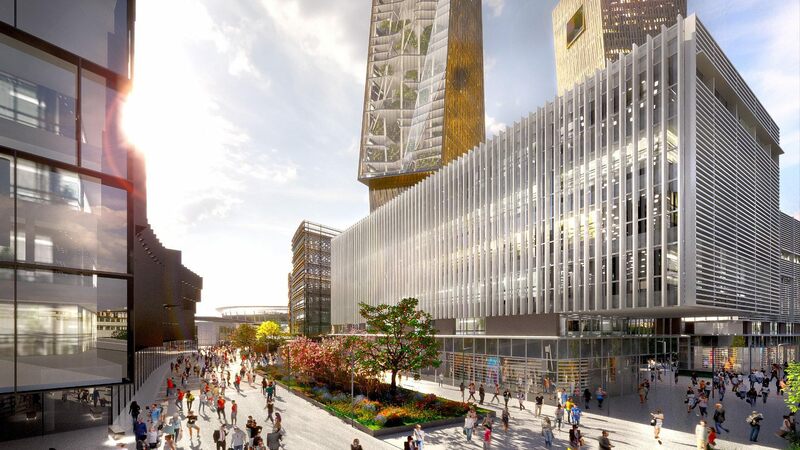 The scheme foresaw groundbreaking in 2014, while construction should last more than 24 months. 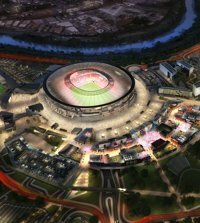 This soon proved untrue, was then changed to late 2015, then 2016 and eventually 2017.